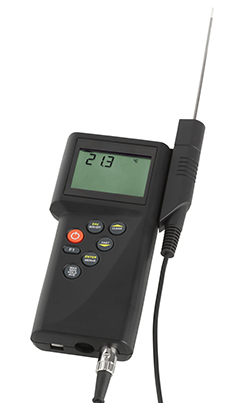 The universally applicable process-controlled hand-held instruments, Series P710, are ideal for measuring operations in which high accuracy counts or the possibility of online documentation is demanded. XCIB-K-1-2-3 Type K Hi-Temp overbraided ceramic fiber insulated sensor. For use up to 980 °C, short term use up to 1090 °C. Suggested sensor for oven and furnace applications.